I have two very different children and a third on the way. I am used to saying that our kids are in no way mild or mellow, but neither are we, so I don’t expect anything different. My oldest son didn’t fit into the boxes of the parenting books I read the first time around. They were good practices, working for other people in our lives, so I felt pretty regularly that I was failing. Just as I began to get a small grasp on his unique personality, we added our second son. And he was exactly the same and I knew everything I was doing. Except that’s totally not true. Like all humans, he was his own little person, and though I was a bit more confident and less scared overall, my small armory of parenting practices weren’t always as useful as I needed them to be. However, this time, I was more open to reading multiple books, listening to different opinions, regarding all things outside of the Word of God as simple resources instead of perfect rules. Little by little, as I’ve attempted to let go of the way I thought things should be, I have been surprised at how God has led me to the right people, books, or podcasts, and the way he has put things in my pathway to encourage and guide my motherhood. I’ve learned that as I seek his wisdom first, he has been faithful to show up. 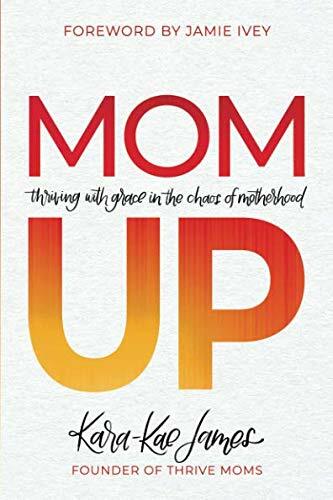 Sometimes, I get the silly notion that God is hiding the answers to motherhood, baiting me, wanting me to do better, work harder, ready to see me fail. But Wisdom personified in Proverbs 8:17 says, “I love all who love me. Those who search will surely find me.” I forget that God is generous with his wisdom, that he is a giver by nature, that he loves us and our children cares more than I could about the ultimate good. This doesn’t make the days fly by, and it doesn’t eliminate the head-scratching mommy-hood moments I encounter all of the time. But knowing that God, the all-knowing, intimately-loving God of ours, is ready and willing to lead me specifically day-by-day, child-by-child, with divine wisdom takes the full weight off of me. And it takes the weight off of whatever rules I might be holding onto too tightly — his wisdom will guide us, give us peace, not hide the right answers cruelly waiting for us to fail. As we seek, he is faithful to lead and guide and shine a light. He will give us the wisdom we lack. Thanks be to God, for I’m the first to tell you that I really have no idea most of the time what I’m doing. We are not alone. The God of the universe wants to walk with us and impart what we don’t have. Praise.